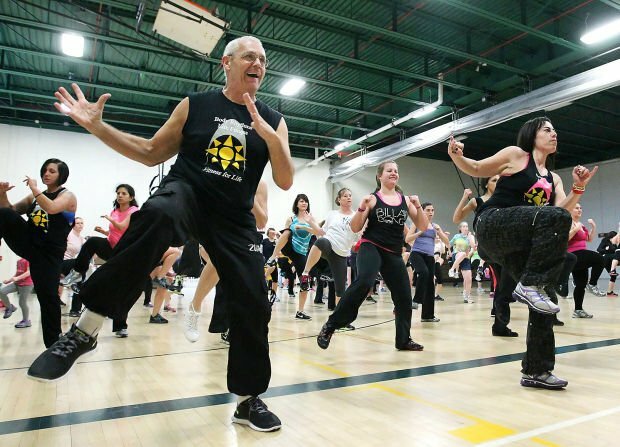 Carlisle residents put their bodies in motion to benefit AwakenHaiti on Saturday afternoon. Charlie Martynuska, left, and Janna Minnich, right, both of York, participate in the Zumbathon to benefit AwakenHaiti held Saturday afternoon at the Stuart Community Center in Carlisle. 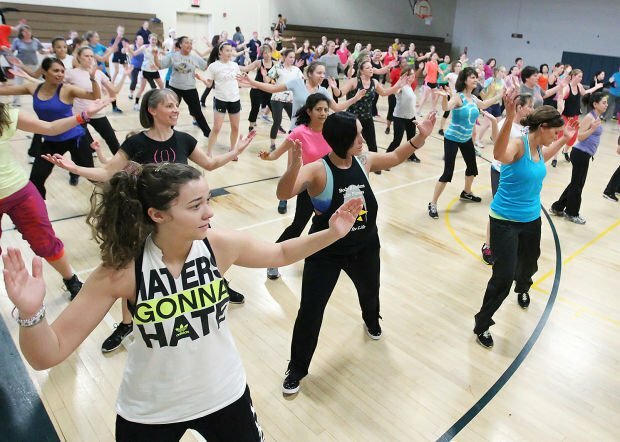 Members of the community participate in the Zumbathon to benefit AwakenHaiti held Saturday afternoon at the Stuart Community Center in Carlisle. Lisa Oplinger, center, of Carlisle and an instructor at the Carlisle YMCA leads the Zumbathon to benefit AwakenHaiti Saturday afternoon at the Stuart Community Center in Carlisle. Left to right, Judy Bell, Pat Pittenger and Jenna Kinsler, all of Carlisle participate in the Zumbathon to benefit AwakenHaiti held Saturday afternoon at the Stuart Community Center in Carlisle. Liz Simons of Carlisle participates in the Zumbathon to benefit AwakenHaiti held Saturday afternoon at the Stuart Community Center in Carlisle. Angela Weinle, right, of Carlisle, participates in the Zumbathon to benefit AwakenHaiti held Saturday afternoon at the Stuart Community Center in Carlisle.